Situated on the one way system at Northern end (adjacent to Priory Gardens) of the High street is this Shop unit currently comprising main shop floor and rear kitchen / staff room. The premises also has rear access and private WC facilities. Terms: Available on a new FR&I lease for a period to be agreed but with provision for regular rent review with each party being responsible for their own legal costs. Property reference 14024383. The information displayed about this property comprises a property advertisement. Rightmove.co.uk makes no warranty as to the accuracy or completeness of the advertisement or any linked or associated information, and Rightmove has no control over the content. This property advertisement does not constitute property particulars. 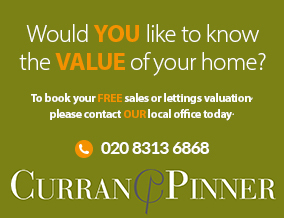 The information is provided and maintained by Curran & Pinner , Bromley.